Keeping track of the safety measures is of immense importance when it comes to the welding areas, as the smoke and dust produced can cause serious health issues. When the welding torch hits the metal, a metal oxide compound is created; exposure to these fumes can lead to Parkinson disease. Housekeeping the welding workplace is important to avoid injuries and accidents of any nature. OSHA- Occupational Safety and Health Administration, is an agency of the United States, the mission of which is to ensure safety and healthy working conditions for working men and women by setting standards and for providing training, education and assistance. Dust may lead to explosion hazard. Accumulation of dust of more than 1/32 inch or 0.8 millimeters is extremely hazardous. Vacuuming is considered the best way to clean up even the trivial dust particle. Other options include sweeping and water wash-down. Industrial vacuum cleaners can clean down walls, ceilings and machinery as well. Only by adding a filter, to pull the smoke and dust can help you to reduce problems for employees. Other methods which are used to filter out smoke includes backdraft hoods, ducted welding booths as they will have fresh air to breathe and it will keep them health and fit to work even overtime ,if required. 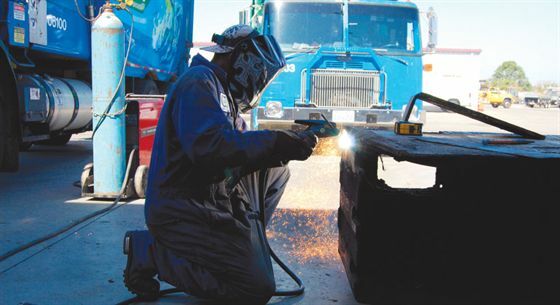 Machines and equipment play a major role in welding areas. 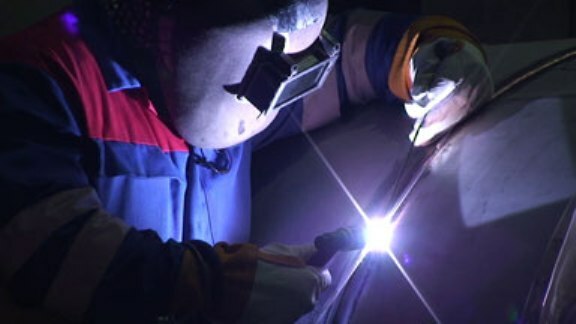 If they are damaged or expired, the entire welding process will cease, so regular servicing, on date submission of bills are important factors for avoiding unnecessary expenses and efforts, as far as safety and work in the welding places are concerned. Face shield, helmets, goggles with special filter lenses are some of the protective equipment which are important for people near welding areas in order to protect them from heat or light. Avoid settling of too many objects at one place. It makes the workmen difficult to budge from one place to another, leading to a fall, or injury, damage of objects or any other accidents of the kind. The phrase ‘Old is gold’ does not apply at work places. Your workplace should be filled with things important in the welding process; after all it is your workplace and not a memorabilia for keeping the old objects for memories. Proper authentication should take place for discarding of any combustible objects which are unused and are left uncovered. Proper fire exits should be built at the workplaces and fire extinguishers should be kept at every possible place and at regular intervals to improve escapes Also, objects like, torch, hammer, knife, screw driver, magnifying glass, a pair of scissors, rope, etc. should be present for emergencies. Negligence is the root cause for most of the accidents. The sooner you alert yourself, the better the future will be. Complaints should be immediately made for any leakage, wire breakage, red alert signal, unfavorable smell, spills. Try to construct your welding workplace away from the residential area, to avoid causing disturbance to common masses. Welding places are always prone to the most dangerous hazards, but few safety measures taken can secure your employees’ health and safety as well as the welfare of your welding workplace at large. A minimal initial investment on training the employees, on high quality machines and equipment in your workplace can save you from many higher future expenses A good working environment is not only created by the placements of objects and materials in it, but also by the people working in it. Your companions at the work places should be friendly and communicative so that you don’t feel unwanted both professionally and personally and approach to your colleagues or to your heads for any issue. If you are happy with the people and the place, you do well at work and at a fast pace.